Talking about hospice is frightening for patients and families under the best circumstances. When they're told, "No, you can't!" a difficult discussion quickly turns into a devastating assault. Every inquiry into hospice does NOT lead to an admission. 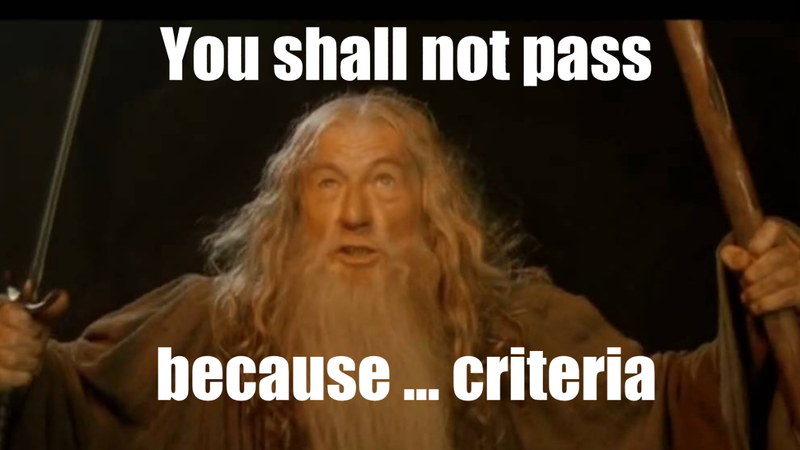 But hospice medical directors who hide behind "criteria" are either uninformed, lazy, or maybe even a little twisted. The last thing anybody needs is a self-important wizard who doesn't know what they're doing or, worse, doesn't care. 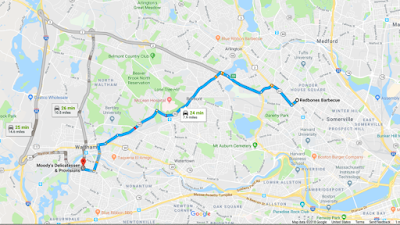 These three routes each take me from lunch at Redbone's in Somerville to dinner at Moody's Delicatessen in Waltham. They may be the best available options, based on time and distance, but they're certainly not the only ones. They're just guidelines. 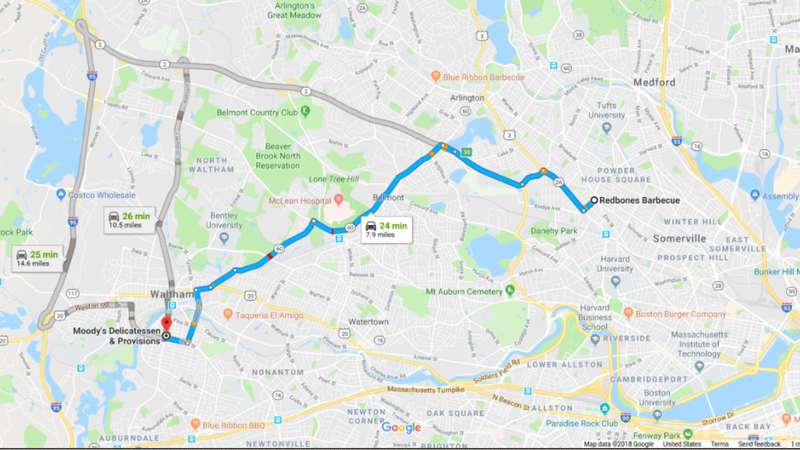 But no matter which guideline I use, or even if I decide to ditch the map and meander through neighborhoods along an entirely different route, I'll still have to comply with all related regulations - like driving a vehicle that's properly inspected, registered, and insured; and obey all traffic laws - like speed limits and stop lights. 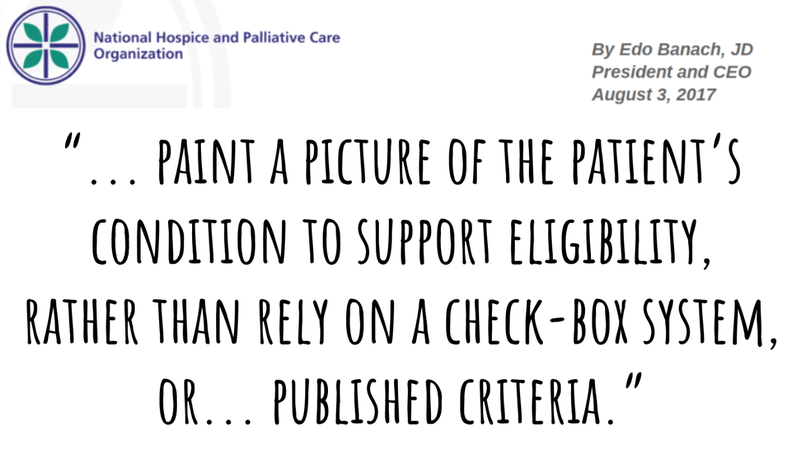 These are the regulations regarding clinical eligibility for admission to hospice. Well, some of them. They're very detailed and unambiguous. I've tried to focus on the most applicable ones. IANAL. ...the individual’s prognosis is for a life expectancy of 6 months or less if the … illness runs its normal course. ...based on the physician’s or medical director’s clinical judgment regarding … the individual’s illness. 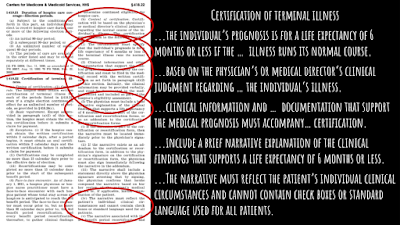 ...clinical information and … documentation that support the medical prognosis must accompany… certification. ...include a brief narrative explanation of the clinical findings that supports a life expectancy of 6 months or less. ...The narrative must reflect the patient’s individual clinical circumstances and cannot contain check boxes or standard language used for all patients. Those are the bullets. 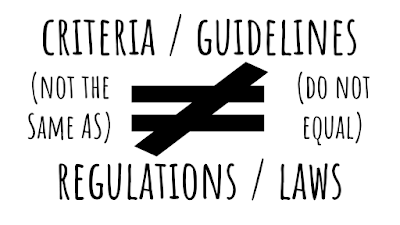 You can get the full set of regulations as a PDF here. 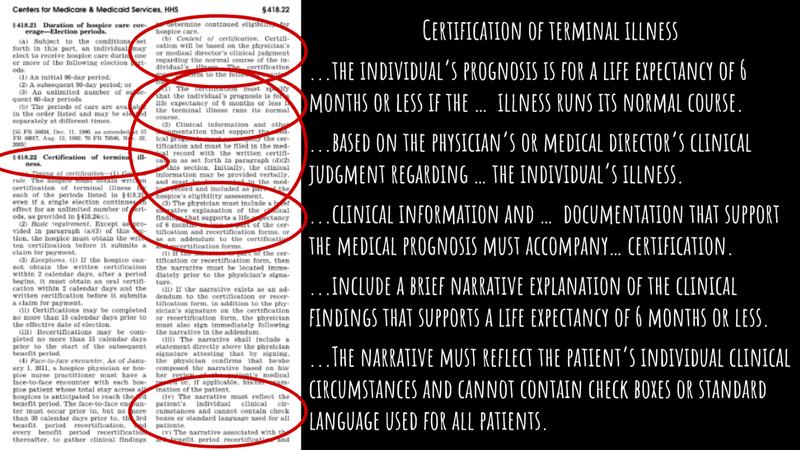 We've been talking about 418.22 - Certification of terminal illness. Read the full text of what he said, and why here. 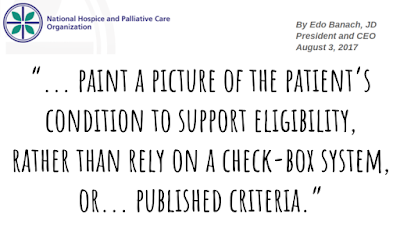 Painting a picture of the patient's condition, using expert clinical judgement based on a thoughtful and comprehensive assessment, taking into account the individual's illness and circumstances, and including available clinical information and documentation from other sources and care providers, synthesized and articulated in a narrative that supports eligibility, or doesn't. Checking off some boxes to decide Y/N. It's hard work, being a hospice medical director. Or not, depending how one approaches it. 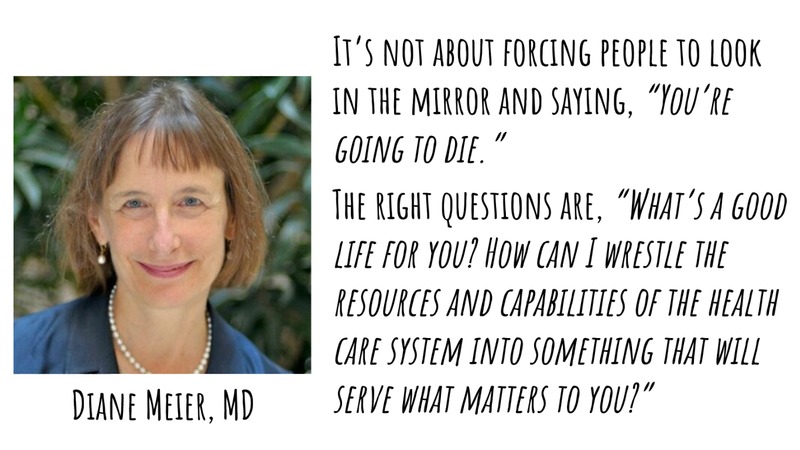 The most important characteristic for any clinician interested in caring for patients and families with serious illness and at end of life is a commitment to life-long learning, because that's the only way to climb the hill from novice to expert. 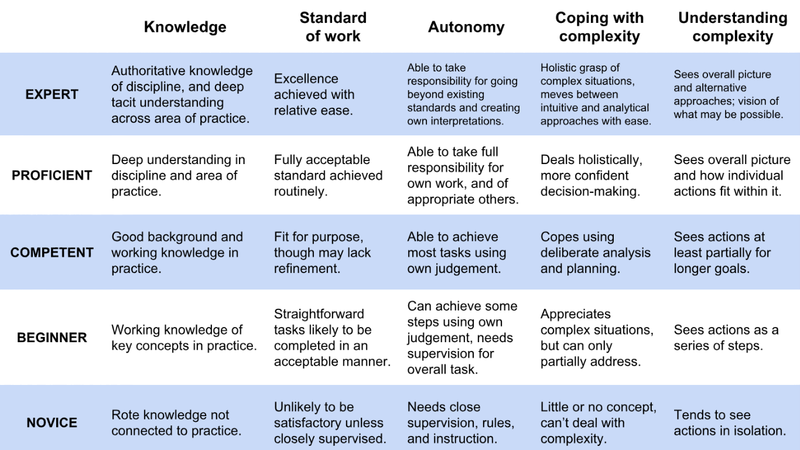 Long story short: An expert can understand and sift through complexity to paint a picture. 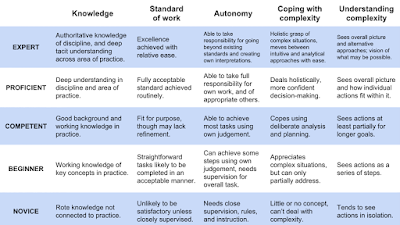 A novice needs close supervision and rules to guide them through simple tasks, and as for complexity - forget about it. An honest conversation about goals, about what's important to us and what we're most afraid of, can only happen between equals who trust each other. A desire to serve can only come from an attitude of caring and humility. These are at the heart of real "patient and family centered care," the best way to arrive at the most appropriate care - hospice or otherwise. "Hospice medical directors who hide behind criteria are either uninformed, lazy, or maybe even a little twisted." 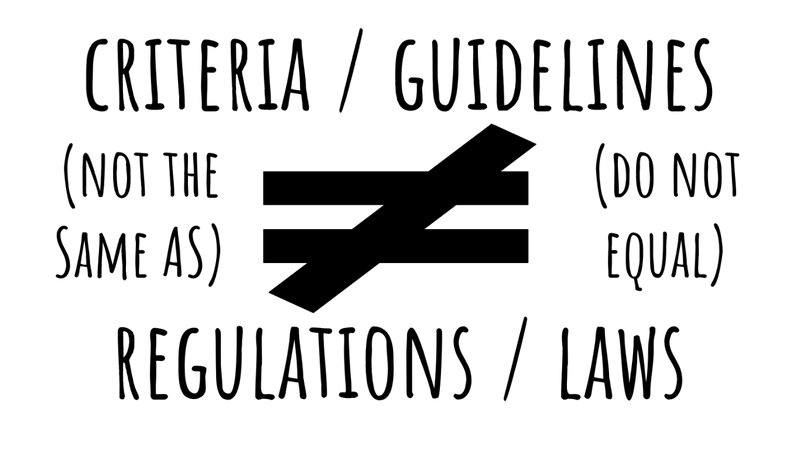 If that seems harsh, unkind, inaccurate, or unhelpful, I'd like to understand how else to say it. DISCLOSURES: I've eaten at Redbone's and Moody's. IANAL means "I am not a lawyer." Updated/Edited 6/16/18 to clear up sloppy language and add a link.